Last updated 17 May 2017 . By Millie Smith. On a balmy and blue-skied Sunday, there's nowhere nicer for a stroll than through one of our city’s Royal Parks. After a leisurely saunter through Regent’s paths, and working up quite the thirst, we headed to the next best place to be on a hot day - the pub. In leafy Primrose Hill, standing proudly on the corner of a row of Georgian terraces is The Princess of Wales, a beautiful pub and our home for Sunday lunch. Heading through the heavy wooden doors, the main bar on the ground floor was warmly lit with sunshine streaming through the huge windows. Being 1.30pm, the pub was full to the brim, all tables occupied with families, couples and friends having beers, roasts and wine. Our table was next to one of the large windows, where outside a group of old, creative North Londoners were making their way through bottle after bottle of white wine. For our lazy Sunday afternoon, they made for perfect people watching. In true Georgian style, the pub has an old wooden staircase which leads its other two floors. Upstairs is The Princess Room, a stunning room available for private hire, perfect for work events and birthdays as well as being a unique space for an intimate wedding. Today it was filled with large tables of families catching up over a tasty lunch. The basement floor, another event space, is a sweet and casual bar with doors leading out to the sun trap of a beer garden. The garden and pub interiors are perfectly designed to echo that gastro feel. The drinks offering at the Princess of Wales certainly ticks all the right boxes. Alongside your usual craft beers, lagers and ciders, there is an inventive cocktail list made with their house infused spirits. The pub is a must for every Bloody Mary fan too, as these are made with your preference of house infused vodka; with choices like marmite, mushroom, mustard and citrus infusions, it’ll be different to any you’ve had before. After our walk, we decided to start with a pint of the Kona Brewing Company’s Big Wave Golden Ale. It instantly quenched our thirst, and cooled us down with it’s big juicy mango flavours. Knowing we were both going to choose meaty mains, we started with Salt Fish Croquettes and Crispy Squid. The croquettes were flaky, chunky and big on flavour. With a big squeeze of lemon, and a dip into the tangy, home-made tartar sauce - crunchy with gherkins and capers - it was a tasty dish. The Crispy Squid with Chilli Salt (£7) were crunchy on the outside, with soft smooth squid in the middle - a great contrast of textures. 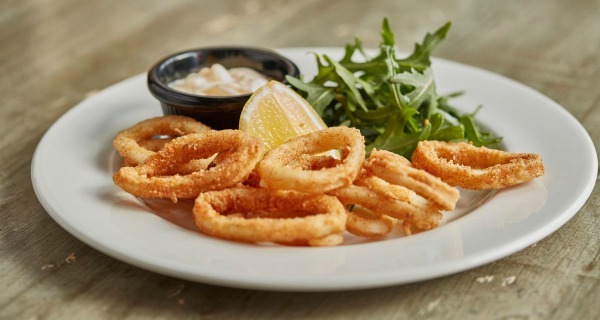 The aioli was flavoursome, and again, a well-thought out accompaniment to cut through the batter. My Australian boyfriend is yet to appreciate the humble Sunday lunch. Luckily for him, The Princess’ Sunday menu offers a wide range of options alongside their traditional roasts. With salads, fish and other classic mains to choose from he opted for the Princess of Wales Burger (£12.95). The burger was juicy, perfectly seasoned and topped with a big gherkin and tangy tomato which cut through the rich meat. The table next to us arrived just as he was mid-mouthful and they all commented on how good it looked. They settled for the same - it was that kind of burger. Being Sunday, I obviously opted for one of the roasts and chose the Pork Belly. The pork arrived perched on top of a big heap of buttery vegetables, with crispy roast potatoes and a fluffy Yorkshire pudding all covered in silky gravy. The meat was soft with a crunchy edge of crackling, the carrots and cabbage lightly seasoned and fresh, even the roasties too felt like my mum’s. Where so many roast dinners in London can be disappointing, this was not the case here. Gastro dishes and Sunday roasts are put together perfectly at The Princess of Wales. Feeling full and satisfied, we left the Princess and headed back to the park to walk off our lunch. 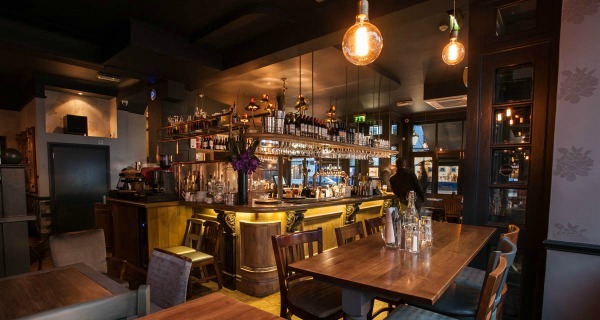 As well as being in a gorgeous location, the pub’s good food and good value makes it a prime spot in Primrose Hill. With it’s friendly staff, charm and character The Princess of Wales offers you something more than your average pub. A taste of pub royalty in London? We think so. Bookings & Concierge Manager. Loves bloody marys, gin & tonics, beer, cider and long walks along the Thames. GSOH.